Earn $17.52 in VIP credit (1752 points)What's This? 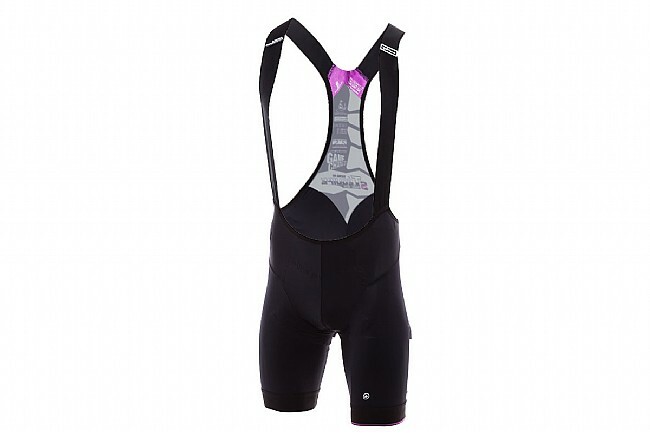 Developed with feedback from Assos' Werksmannschaft factory team, the brand new T.equipe_s7 bib shorts deliver pro-level performance to the masses. Introducing redesigned ergonomic straps, a brand new fabric, and a memoryFoam S7 Men's amethyst chamois. Constructed from the brand new type.439 fabric, the equipe bibshorts deliver exceptional breathability and moisture wicking providing the perfect all-day summer bibshort. However, the Ace in the Hole of the type.439 fabric is the moderately compressive hold, supporting the muscle groups of the legs. Protect your legs from the fatigue-inducing effects of road vibration and muscle oscillations. 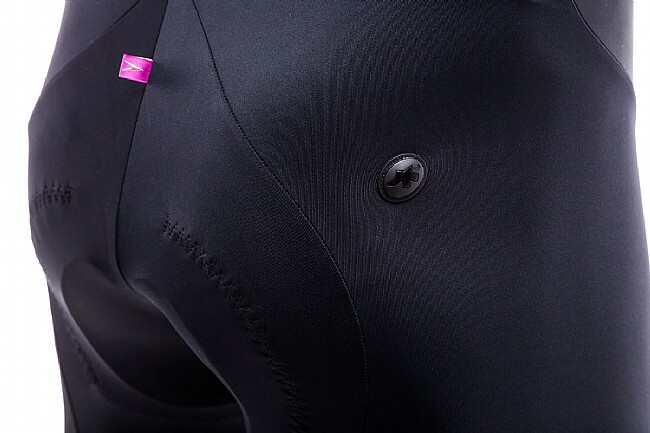 To kick the level of comfort up a notch, Assos finished the Type.439 fabric with an iceColor application, effectively reducing surface temperature in dark fabrics. Complementing the compressive support provided by the type.439 fabric, Assos implements their Advanced Ergonomic Pattern Design. This advanced race fit bibshort is tuned to provide optimal support and comfort while in the racing position. Furthering the ergonomics, the Y7 bib strap design sits further outward in the front of the bib. This results in better support and contact while providing a completely open chest and throat. Of course, no pair of bibs would be race-ready if it didn't have a supportive chamois. The T.equipe's unveil their new S7 Men's amethyst chamois, featuring an 8mm memoryFoam insert that boasts their revolutionary goldenGate technology. Attaching the chamois to the short only at the front and rear, the insert is free to move laterally, following your body's movements as you go through your pedal stroke and working to "fill the gap" that results from body movement. The result is a virtually friction-free support system that will see you through the hardest of races.